Creatine is one of the most researched weight lifting and sport supplements on the market. While many remain skeptical about what creatine is or how it works, the science behind creatine is pretty simple. Creatine is a molecule made up of amino-acids (proteins) and occurs naturally in the human body. The liver and kidneys synthesize creatine and add phosphate to it in order to produce a rapid source of energy for the skeletal muscles and brain. With the added phosphate, creatine becomes phosphocreatine and can supply the phosphate needed to “reload” adenosine triphosphate (ATP), the body’s ultimate fuel. Adenosine triphosphate is composed of three phosphate ions; when one of these is cleaved, the breaking of the chemical bond produces energy and an adenosine diphosphate (ADP) is left behind. During intense bouts of activity, the muscles and brain use stored phosphocreatine to rapidly supply a phosphate group to ADP, so that it becomes an ATP again and can provide more energy. While the body can produce its own creatine, production is dependent on whether or not all the amino-acid building blocks are available (l-arginine, glycine, and l-methionine). Creatine levels are directly related to dietary intake, and meat and dairy are the only natural sources of creatine in its complete form. Thus, vegetarians or people who eat little meat have low levels of stored creatine and less energy for intense activities. In one study, vegetarians who supplemented their diets with creatine gained better memory. A number of other studies have focused on supplemental creatine’s effect on strength training and intense sports. 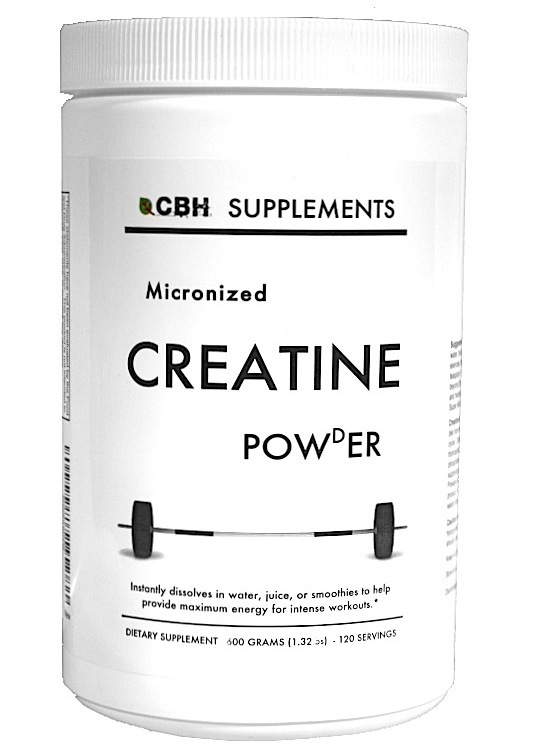 By supplying the muscles with ample energy, creatine allows the muscles to work harder. When the muscles work harder and have enough protein, they get bigger and stronger. The lesson: More creatine means more energy for intense activities. Creatine’s not a steroid or a stimulant. It’s basically a vehicle that delivers the phosphate needed to “reload” ATP. To get more creatine in your diet, eat plenty of meat and dairy from grass-fed animals or use a creatine supplement like CBH Micronized Creatine. The micronized stuff mixes easily in water, but non-micronized is fine for adding to smoothies. Seasonal affective disorder (SAD) affects as many as 10 to 20 percent of Americans each year during the winter months. If you’re feeling irritable, moody, fatigued or less energetic during the winter season, you may be suffering from seasonal affective disorder. The good news is, you don’t have to resign yourself to months of moodiness each year. Read on to find out what causes seasonal affective disorder, and learn about safe, natural ways to treat it. What causes Seasonal Affective Disorder? Many of us love throwing open the curtains in the morning and basking in the sunlight. There’s actually a biochemical reason for that. When our bodies are exposed to sunlight, it triggers the production of a chemical called cholecalciferol, which is ultimately converted to Vitamin D. Vitamin D is necessary to regulate the production of serotonin, a hormone which helps produce a feeling of well-being and which has been linked to depression at low levels. Lack of sunlight also triggers the release of a chemical called melatonin, which contributes to feelings of fatigue and helps you sleep at night. In other words, when you’re exposed to less sunlight, your body produces more melatonin (making you feel more sleepy and sluggish) and you absorb less Vitamin D, which means less serotonin production and a higher chance of depression. How to naturally treat Seasonal Affective Disorder. There are several simple and natural treatment for SAD. Keep a regular daytime/nighttime schedule to avoid throwing off your sleep patterns, which can disrupt your body’s natural biorythms and exacerbate mood disorders and fatigue. Maintain a healthy diet that’s high in protein, which are the building blocks for many hormones, and avoid too many processed carbs, which can contribute to irritability and moodiness. Make sure you get a full night’s sleep each night and expose yourself to as much sunlight as you can during the winter months. Take walks outside or perform other outdoor routines on a daily basis to increase your light intake. You can also swap out your lights at home, and at your office, for full spectrum lightbulbs, which emulate natural sunlight. Why are vitamin D values important? Well, without knowing the vitamin D levels in your blood, you’re basically just shooting in the dark when it comes to getting enough sunshine or vitamin D supplementation. Do you know what the best vitamin D blood values are or the best way to measure vitamin D values in your blood? Read on to discover the answers to these questions. Optimal vitamin D values in the blood are crucial. Many people are drastically short on vitamin D and don’t even realize it, but the consequences can be profound. Vitamin D acts more like a hormone than a vitamin. Every single cell in the body has a vitamin D receptor, and once received in the cell, vitamin D tells the cells what genetic codes to turn on. Vitamin D has an important role in optimizing your genetic potential and helps ensure that the bad codes (like those that can cause cancer or disease) in your DNA aren’t turned on. Vitamin D deficiency may play a role in a number of health problems, including: acne, breast cancer, heart disease, depression, fibromyalgia, melanoma, osteoporosis, periodontal disease, and prostate cancer. Optimal vitamin D values in blood: Today many of us are drastically deficient in vitamin D. We get most of our vitamin D through internal production, which takes place when the skin is exposed to the sun’s ultraviolet rays. It’s not uncommon for farmers, people who belong to traditional hunter/gatherer societies, or those who simply get outside a lot to have vitamin d blood values of around 100 ng/ml. Many Americans, by contrast, only have 10 to 30 ng/ml! Current research indicates that optimal vitamin d values in blood range from 50 to 100 ng/ml. Have your vitamin D blood levels tested by your doctor or order your own test through Direct Labs. Depending on the vitamin D values in your blood, you may need to get more sunshine or supplement with vitamin D3. It’s estimated that people with light-colored skin need about 10-15 minutes of sunshine three times per week, with maximum amount of skin exposure (i.e. bathing suit). People with dark-colored skin may need 20-30 minutes. For supplementation, the best amount of vitamin D3 is thought to be between 4,000 and 6,000 IU of vitamin D3 daily. (The CBH Daily Multi Nutrient contains 4,000 IU of Vitamin D3 per serving). Vitamin D3 supplementation is safe up to relatively high amounts. The current upper tolerable limit for supplementation is 10,000 IU per day. Nevertheless, to ensure that your vitamin D blood levels aren’t too high or too low, it’s important that you have your levels tested. Daylight savings has come and we have had our first snow dusting in the Twin Cities. It is time to start considering the risk of vitamin D deficiency — the days are getting shorter and a tad drearier, especially here. I never actually realized this, but it gets darker earlier up north since we are further from the equator. This means less hours of sunshine and less direct sun rays, which can be a bit of a problem since sunlight is the best source of vitamin D.
Vitamin D is essential to the body for maintaining proper amounts of calcium and phosphorus in the blood. Vitamin D also aids in the absorption of calcium which helps keep our bones nice and strong. According to the Mayo clinic, vitamin D deficiency could cause rickets, or malformation of bones, in children and osteomalacia, or weakened bones and muscles in adults. Low levels of vitamin D is also thought to cause depression or Seasonal Affective Disorder in some individuals, with fall and winter being especially high risk times. The FDA’s daily recommendations for vitamin D are 600IU for ages 1-70 and 800IU for those over the age of 70, but according to other research this might just be the bare minimum. So what are ways we can obtain the needed vitamin D during the darker winter months and avoid vitamin D deficiency? Dietary sources typically only make up for 20% of our overall vitamin D intake, but it doesn’t hurt to load up on these foods during times of lower sunlight. Here are few foods to help you avoid vitamin D deficiency: Fatty fish such as tuna, mackerel or salmon. Six ounces of salmon contains over 600IU of vitamin D. Eggs (in the yolk). Fortified foods such as milk, orange juice, soy milk and cereals. Beef liver. Cod liver oil (if you get desperate) which used to be a very common vitamin D supplement. Get all the sunlight you can in the winter. Again, sunlight is the best way for your body to get vitamin D. In a time when we are all worried about skin cancer, it is still recommended that we get a moderate amount of sun for vitamin D production. The body actually stores extra vitamin D in the fat cells to avoid seasonal deficiency. On a sunny day during the spring or summer for someone with moderately tanned skin and moderately close to the equator (yes, a little unspecific), it only takes being outside for 15 minutes with face and hands uncovered (including no sunscreen) for the body to produce enough vitamin D. During the winter, try to walk outside for 15-20 minutes during the sunniest part of the day several times per week, if not daily. Recommendations for the amount of sunlight needed can be tricky since adequate vitamin D production is based on a number of factors. First of all, the darker your skin, the more difficult it is for the UVB light to penetrate and produce vitamin D. It also depends on where you live. The further away from the equator you are, the less direct UVB rays you get. It also depends on the time of the year, and as we discussed, the winter months produce the low amounts of sunshine. Cautious tanning bed usage. Although large amounts of time spent in a tanning bed are not recommended due to the risk of skin cancer, these beds still produce UVB light that your body can turn into vitamin D. The Vitamin D Vouncil recommends caution with tanning beds, but still suggests a short period of time in a bed that contains more UVB than UVA light. The rule of thumb recommended by The Council is half the amount of time it takes your skin to turn pink (for a freckled gal like me this is probably about 4-5 minutes). Supplements are also an option. Always be careful when taking supplements as you never want to over dose, especially on a fat soluble vitamin such as vitamin D. The upper tolerable level for vitamin D is set to 10,000 IU for all forms of vitamin D.
Are you affected by the dark days of winter? Have you ever had cod liver oil?